Only unbleached wheat flour is believed to contain it’s natural vitamins and minerals. What is Unbleached Wheat Flour? Unbleached wheat flour is wheat flour not treated by bleaching chemicals. Wheat flour has the bran and germ removed, leaving only the starchy endosperm. It is made from grinding the wheat kernel. Originally milled wheat flour was unbleached. In the 1900s, scientists invented a chemical process to bleach the flour. Freshly milled wheat flour has a pale yellow tint, with pigmentation in amounts of 1.5-4 mg/kg expressed as carotenoid.1 These natural yellowish pigments affect bread crumb color. During flour storage, reactions occur among flour components, especially unsaturated lipids, and oxygen in a process known as aging or maturing. This process gradually whitens the flour over time. 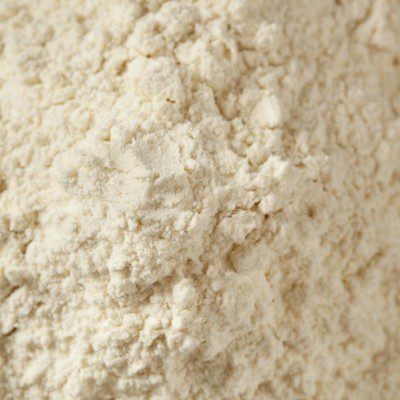 For bleached flour, residual levels of both benzoyl peroxide and its reaction product benzoic acid have prompted health concerns. Benzoyl peroxide is a known tumor promoter and progression agent in mouse skin, though it is not an initiator or complete carcinogen.1 No bleached flours can qualify as organic. Lamsal, B.P., Faubion, J.M. Effect of an enzyme preparation on wheat flour and dough color, mixing, and test baking. LWT – Food Science and Technology 42.9 (2009):1461-7. Delcour, J.A., Hoseney, R.C. Chapter 8: Dry Milling. Principles of Cereal Science and Technology. 3rd ed. St. Paul, Minnesota: AACC International, 2010. p. 133. CFR – Code of Federal Regulations Title 21CFR137.105.” Accessdata.fda.gov. 01 Apr. 2016. www.accessdata.fda.gov/scripts/cdrh/cfdocs/cfcfr/CFRSearch.cfm?fr=137.105. Accessed 08 July 2017. CFR – Code of Federal Regulations Title 21CFR184.1157. Accessdata.fda.gov. 01 April 2016. www.accessdata.fda.gov/scripts/cdrh/cfdocs/cfcfr/CFRSearch.cfm?fr=184.1157. Accessed 08 July 2017.